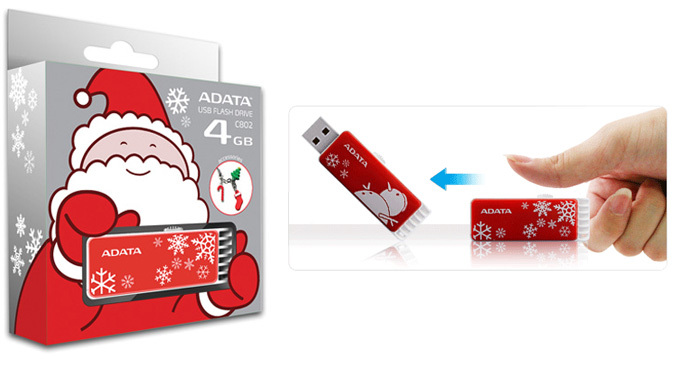 Christmas is still far away, but Adata reveals already its gifts that carry Christmas warmth, or at least more GBs for your music and photos. 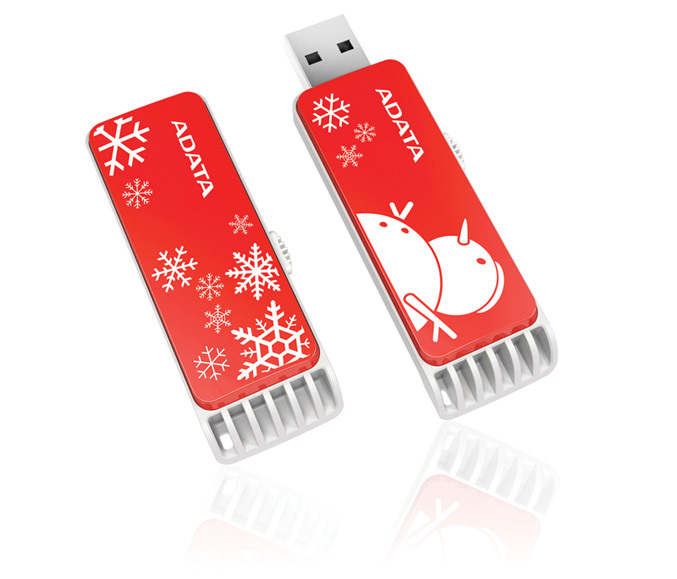 Adata’s Christmas edition USB flash drive C802, has a retractable design with slide out USB connector and comes in two wintry embodiments: Falling snowflake pattern and cheery snowman, accompanied by a set of holiday adornments – a Christmas tree, candy cane, and stocking. The USB 2.0 drive has dimensions of 58.5 x 22.9 x 9.5 mm (LxWxH), weight only 10g and is available in 4GB version.